“Summer, summer, summertime!” Much like DJ Jazzy Jeff and Fresh Prince, we love summertime. It’s June 22 and summertime is officially here, and we are kicking off summer by celebrating Clean Air Action Day. What’s Clean Air Action Day? We’re so glad you asked! 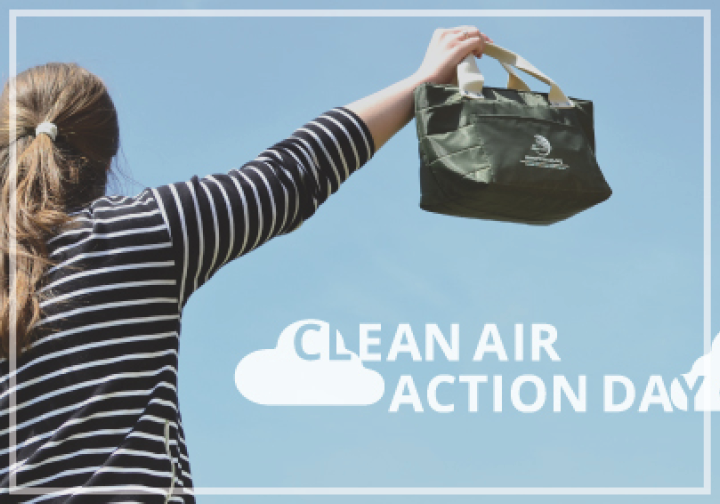 Clean Air Action Day is a day each year that we partner with Air North Texas and commit to doing one thing that will help improve air quality. We must admit we look forward to this day and with so many options to choose from, we thought we would list our top five of commitments you can make to help make the air we breathe cleaner. Obviously we LOVE this option! Mass transit lessens pollution and simultaneously allows you to kick back and enjoy the ride. That seems like a win/win, right? Take one of our buses to work or plan an outing with friends or family riding our A-train. Did you know that we offer a Summer Youth Pass? Kids between the ages of five and 18 can ride DCTA all summer for just $30. You heard us correctly! $30 for a Summer Youth Pass and they can ride as much as they want! Plan some summertime adventures of your own and let us do the driving for you. Make today a starting point to ensure you home is energy efficient. Switch to energy efficient light bulbs or consider using an electric or alternative fuel lawnmower. Commit to taking steps every day for the next year to make your home energy efficient by June 2019. If you shop today, commit to shopping local where driving is lessened or shop from a location that you could bike or walk to. Not only are you contributing to your local economy, you are contributing to better air quality. Strength in numbers, right? Another great way to participate is to spread the word. Use the hashtags #AirNTX and #CAAD2018 on social media and share with others what commitment you have made, text a friend and ask them to make the commitment, ask friends and family what they plan to do on today to help improve our air quality. Why just commit for one day? Commit to making clean air choices the entire ozone season. Sign up for pollution alerts at Air North Texas and while you are there head on over to Air North Texas’ Clean Air Corner blog to stay up to date on local activities and ways to stay involved. Along with the countless other reasons it pays to take part in Clean Air Action Day, better air quality poses fewer health risks to residents and ensures the continued economic success of the region and that means better health to enjoy the summer, summer, summertime in North Texas. Let us know how you plan to make a clean air commitment in the comment section below!